Are you thinking about adding another monkey into your life? Hi, everyone, well, here it is, the long awaited posting on the Primate Care site that will tell you if you need to add another monkey into your home. Yes, I, Mary Lynn, actually have the answer for all of you who are struggling with your decision. I wish I could take credit for what I am about to say but I cannot do it. This was not my idea at all, it actually belongs to another experienced monkey caregiver who has added many different types of monkeys into her life and into the life of her troop. 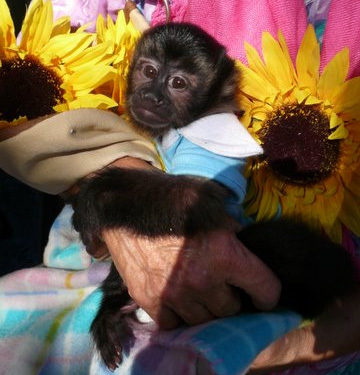 » Read more: Are you thinking about adding another monkey into your life? You are currently browsing the archives for April, 2016.